I want episode 9, Stat! Omo. Where this episode leaves off and the previews…I can’t wait. FINALLY!!!! We have movement with our OTP. In the last episode, you had the really great non-confession confession scene (what I shall forever call the conversation after they left the Asahina siblings), now in this episode we have our OTP getting closer and closer to admitting their feelings to each other. Even the wishy-washy Natsui confesses just how she feels to Asahina…now do that to Toru, silly. So while I am happy where the relationship between Toru and Natsui is going, I wasn’t so thrilled with how this episode played out with Toru leaving Next Innovation. Sigh. The press conference ends and Toru immediately seeks out Asahina who claps over his performance. Toru asks if it was really his best friend behind it all, and Asahina does that horrible maniacal laugh which sounds so fake. Asahina then says he supposes that he’s been orchestrating such an event since first meeting Toru. What a crock. You know that’s not true and you see hints of that throughout this episode. Toru is hurt and angry and Asahina keeps playing up his big betrayal to Toru, but his words betray him a little. You can see that Asahina himself is hurting thanks to Toru: “Spoiling a brat for too long…he rots.” Again, I think this shows just how disappointed he’s become in learning about the true Hyuga Toru. Natsui is still in shock over Toru’s announcement. Someone bumps into her and she drops the package from S-Tel. She then recalls Toru’s words from the previous day, that she shouldn’t act on the whim of her feelings and do what is best for her future. Natsui picks up the packet, squares her shoulders and heads off to S-Tel for her final interview. At Next Innovation, Yamagami explains the breakdown of Toru’s assets and what he is owed now that he is leaving the company. Thanks to Toru selling off part of his stocks and using the rest for collateral, he’s essentially broke. You can actually tell that Yamagami is very sorry that such an event occurred. 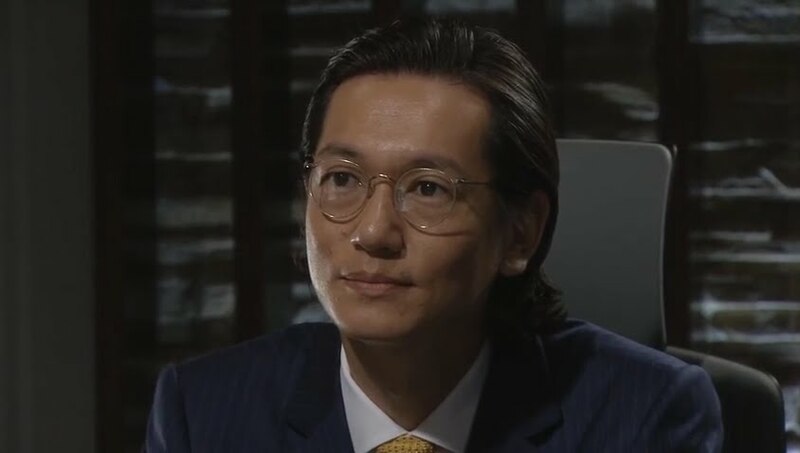 Sure, he didn’t want Toru leading the company per se, but nor did he want Toru completely booted out the door. Toru asks how long Asahina’s plans have been going on and Yamagami says he has know idea really. Toru then wonders if Asahina was behind the leak, too. Yamagami says that isn’t possible, they should trust in the Asahina they’ve known all these years. Riiiight. After he’s pulled that stunt, you still want to trust him? Yamagami then hands Toru a release form for the personal files project since it has already been approved by the board. This angers Toru. That is his project and he won’t give it up. He rushes to his computers to get the data, but his access has already been restricted and soon all of his hard work starts getting deleted. A very low blow. 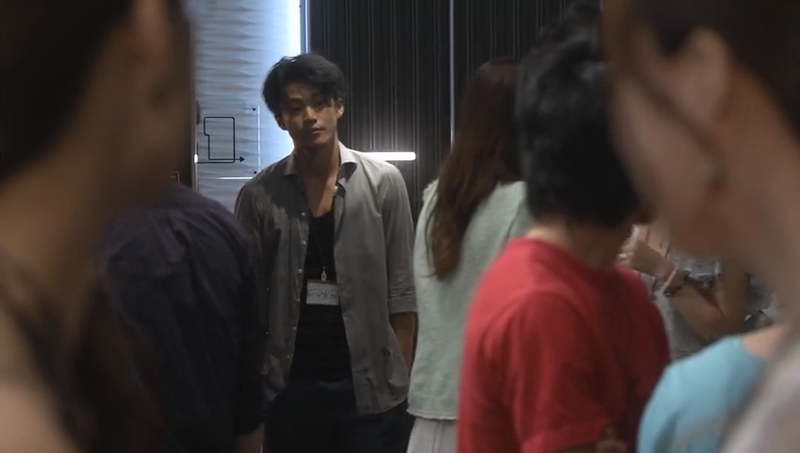 Toru goes to get a cup of coffee and all the staff are awkward. 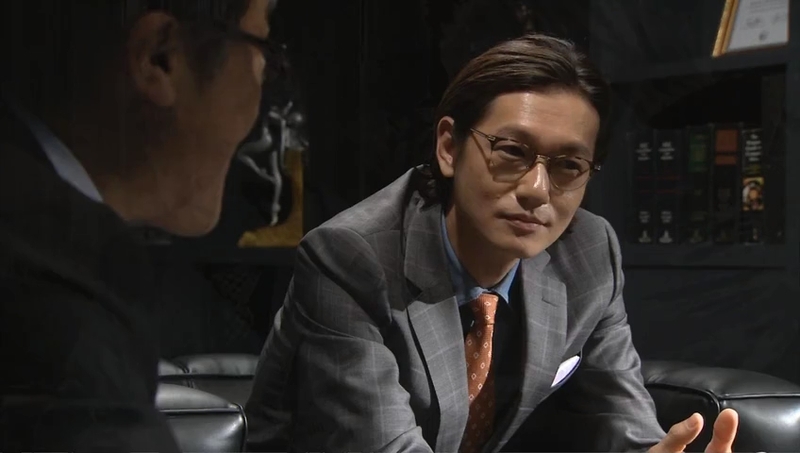 Yasuoka broaches Toru leaving and Toru explains that he will be going off and starting a new company. Asahina then comes in and placates the masses by saying that Toru is always like that. Next Innovation became too big with too many people and Toru just wants to break off from that. Asahina then vows to lead the company with new ideas, blah, blah, blah. Natsui witnesses this performance and Toru’s reaction to Asahina’s words. She goes up to Toru’s office to find him “packing” or rather just throwing (literally) his things into boxes. She wishes to talk to him, but he doesn’t wish to talk about what happened at all. He changes the subject to her interview. She tells him that they talked about her future with the company and her duties—really its an honor for an undergraduate like her to get such a job. Toru makes a comment about this and Natsui tries to backtrack as she doesn’t want Toru to think she was bashing Next Innovation. Toru waves that comment off and sends her packing. Seems he is happy that at least she is taken care of, i.e. her future has been secured. 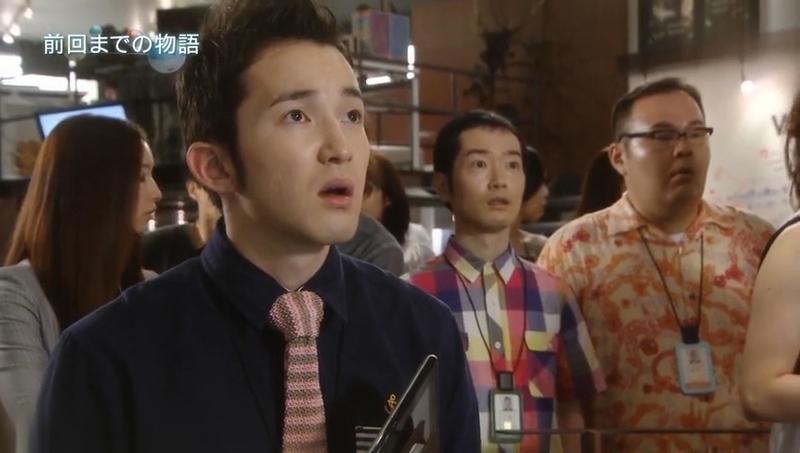 Natsui leaves the office and outside all the workers are bashing Toru basically and embracing their new leader. How fast they turned. 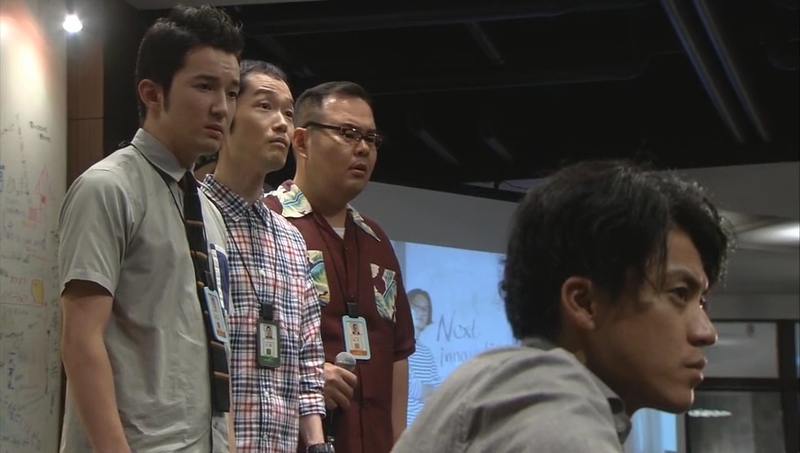 Meanwhile, Yasuoka, Ogawa, and Hosoki meet with one another and try to figure out what to do. Should they stay at Next Innovation or follow Toru? They need to come to that decision and soon. Then in pops Toru with Natsui asking them to follow him so that they can complete the personal file project together. 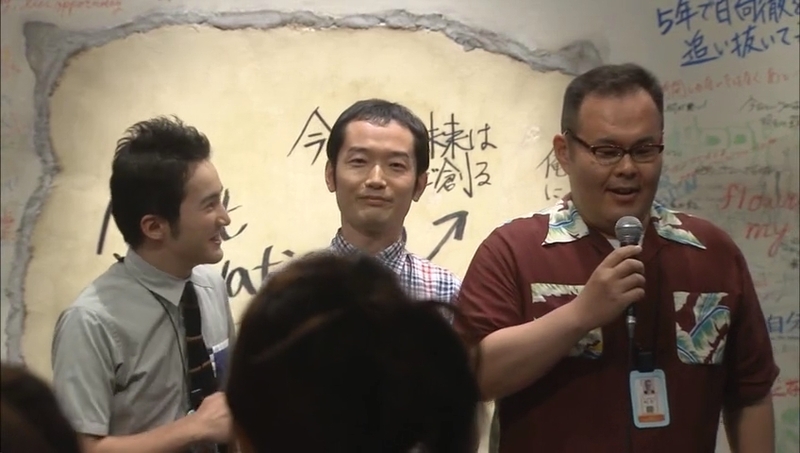 Toru even says Natsui is joining them. To keep her from saying anything, he even covers her mouth. The three men are shocked they must decide so soon, but after learning that Toru wants them and Natsui is on board, they quickly agree to follow Toru and finish what they started. Well, Yasuoka does say he won’t go until Toru gets his name right and Toru guesses wrong, but Yasuoka doesn’t care, he was just bluffing. 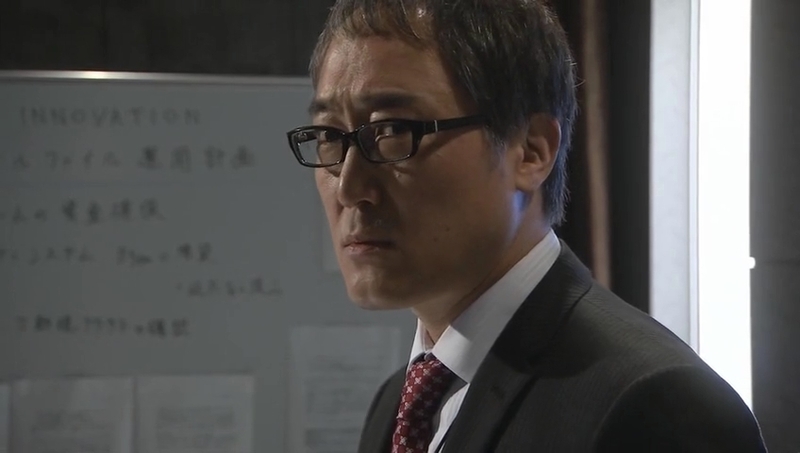 Oddly enough, Yamagami who has finally got Toru out of the President’s seat, is having second thoughts. Why? Well he wasn’t expecting the younger man to leave the company. He didn’t mind Toru creating, he just didn’t think Toru had a head for business. He asks if the company will really be okay since Asahina once said that Toru is the engine of Next Innovation. Asahina assures him that the company will be fine. Somehow, I don’t think the company will be as okay as Asahina thinks. Toru leaves the company and turns in his ID. Both he and Asahina bid each other farewell. No regrets, Asahina-san? Natsui goes to Yoko to ask about her restaurant catering Toru’s farewell bash (Yasuoka insisted on throwing it and announcing the trio’s departure at the same time). Yoko agrees to the last minute event and the two girls talk about how transparent the other is. Natsui is sad that her internship is ending with Toru leaving and herself not being able to be by his side anymore. Yoko is sad as she has a pretty good idea that Toru won’t be coming in to the restaurant anymore. She goes to tell Nogi and ask for his help. Nogi isn’t happy about such a last minute event, but he will do his best to help as he knows its for Yoko’s important person. Yoko comments on how he sounds jealous, but Nogi denies this. LOL. Yep, he’s definitely jealous. I’m sold on this couple. Yep, yep, yep. That night Natsui watches Ono and Kuga practicing soccer. The two start bickering fiercely and Natsui wonders what happened between her two good friends. Ono comes over and congratulates Natsui about sticking it out to the end of her internship and finding a spot in a good company. Natsui then wonders why one friend would suddenly use harsh and hurtful words to another. Ono explains that maybe the Friend A (Toru) did something that unintentionally hurt Friend B (Asahina) and thus why Friend B did some pretty mean things. Natsui considers this. I truthfully think this is part of Asahina’s problem. Toru wasn’t the kid he thought he was plus Toru did not like the direction Asahina wanted to take the company they built for 8 years together. The next day Yasuoka prepares for the farewell party by himself. Yamagami wonders why he’s doing all that stuff and causing disturbances so early in the day. Yasuoka then says that without Toru, there is nothing for him to do. Yamagami helps the younger man put up the projector screen and looks around. So this is a company with Toru. He doesn’t seem too pleased. Natsui goes up to see Asahina as it is her last day. He apologizes that she is leaving the company when it’s in such a mess. Natsui then wonders if Asahina doesn’t have some new strategy and that is why he did what he did with Toru. The two will be building something even better together—won’t they? Ahh, the innocent Natsui wants to believe the best of Asahina. He doesn’t reply to this, but instead offers her a full-time position at Next Innovation. She doesn’t have to decide right away, but he would like her to seriously consider it. I bet she would have eagerly jumped at this chance if it was only a few days earlier. The party starts without Toru who is running a little bit late. He actually has to check in as a visitor and get a special pass just to get into Next Innovation. When he shows up, Yasuoka sits him down and shows the video he made about the history of Next Innovation. Toru watches with tears in his eyes as he sees the good old days with Asahina before his best friend stabbed him in the back. When the movie finishes, he gives a speech about how he has loved Next Innovation and how he is sorry he as to leave it, but he knows they will do well under Asahina’s guidance. Yasuoka wants to turn the floor over to their new president, but Asahina isn’t there. Thus he’s going to announce his departure with Hosoki and Ogawa when a press conference comes on TV. Asahina announces a merger with JI Tech and how they will be working on a personal file system. This steals Toru’s thunder and shocks the trio. So wait, that means that Toru has no file system and no capital—he has nothing! After this announcement, Asahina shows up with a big bouquet and presents it to Toru. The poor man has finally got the last stab to the back by his once trusted friend and what a blow it was. 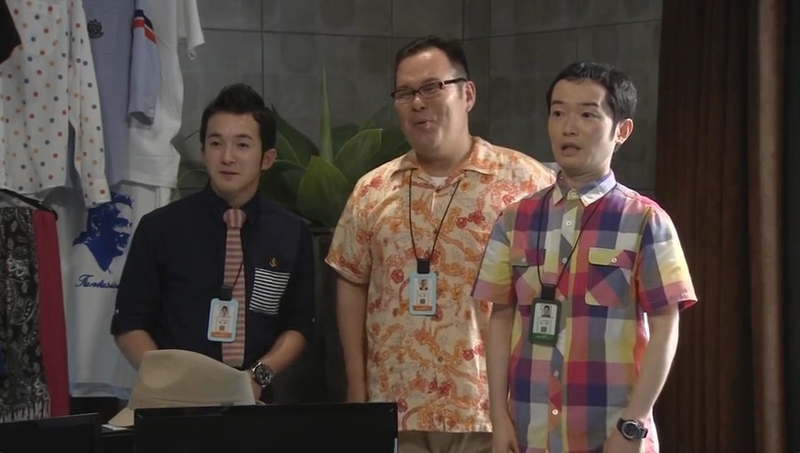 Toru goes to leave, but Hosoki and Ogawa refuse to follow as they must stay at Next Innovation and complete the project. 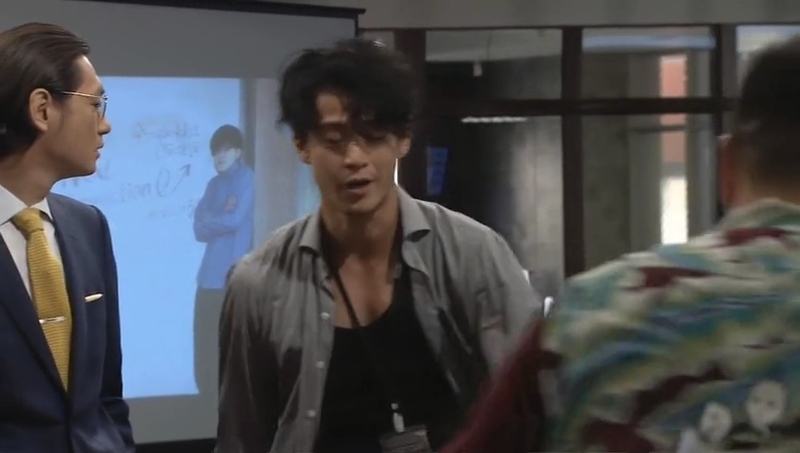 Toru then yells for Yasuoka (by his correct name). His assistant is sad. Now of all times Toru got his name right. But it’s too late. Yasuoka won’t be joining him either. Thanks to more words by Asahina (why is Toru trying to take followers when he’s always been a lone wolf), Toru completely snaps. He starts yelling about how the company only came as far as it did because of him. It was his ideas, his programs, his designs which made Next Innovation what it is today. He designed the office, picked out all the furniture, etc., just so the workers could work comfortably. Asahina tells him to stop making such a scene and Toru grabs the projector and hurls it at the Next Innovation wall, scarring it. 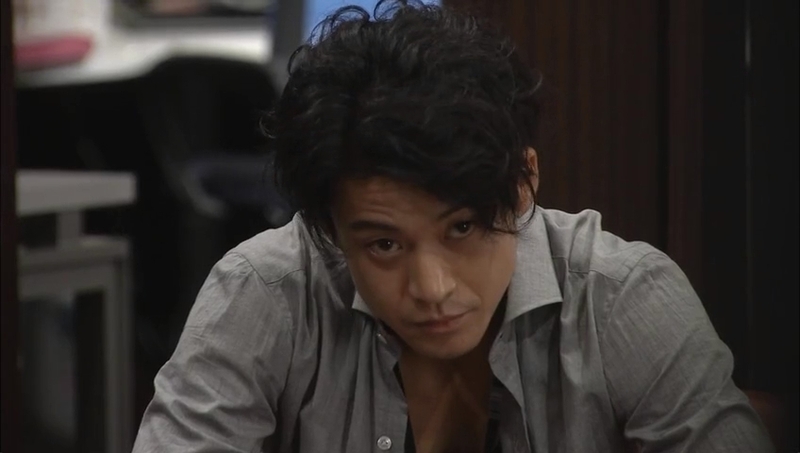 Toru apologizes and says he’ll pay for the repairs…if he has any money that is…and leaves. Asahina tries to soothe the atmosphere and asks Yoko to serve the meal to the workers. Yoko slaps her brother and says she will of course do her job. It’s amazing how that slap didn’t really phase Asahina (on the outside, though I am sure he was reeling on the inside). Natsui rushes after Toru, but he pushes her away. Can’t she understand that she is the last person he wants to see him like this. 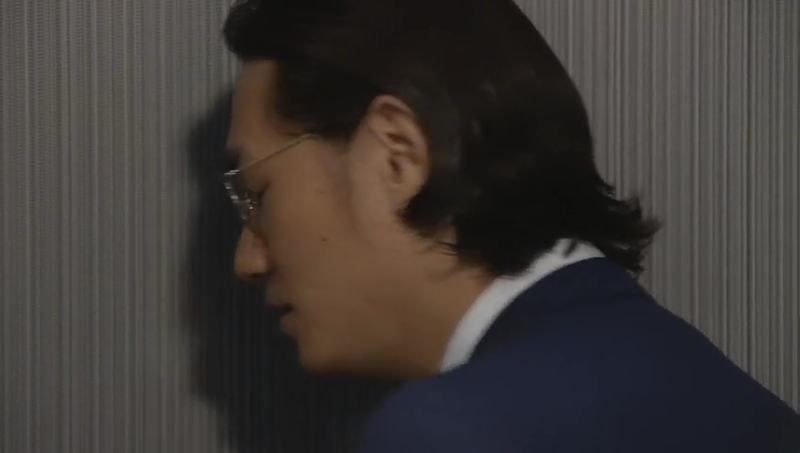 The elevator door closes and Natsui desperately tries to call another elevator before considering the stairs. Asahina comes out and says taking the stairs would be too slow. He encourages her to not chase after Toru and Natsui cannot believe what he did. He is such an insincere and cruel man. Asahina then says that Natsui’s sincerity and honesty will be her own undoing. Natsui then turns down Asahina’s offer. He tells her again not to make a hasty decision, but Natsui refuses to heed this. She is deciding on a whim thanks to her emotions. The elevator comes and she gets in and looks at Asahian, “I like Hyuga Toru.” BAM! The elevator door closes and Asahina looks bleak. He mutters that he lost them both. Well, then, you should never have started your diabolical plan thanks to your own hurt feelings. Natusi throws herself in front of Toru’s bike. He repeats what he said about not wanting her there and she tells him that she doesn’t care. She wants to be by his side. After all…she’s turned down all other job offers (this said with a bit of a desperate laugh). This makes Toru happy. After all of that, she is the one willing to stand by him always. They leave Next Innovation, but have to stop outside the building to let the children pass on their way home from school. Natsui then insists on taking a picture to celebrate Toru’s new beginning, not his ending. These words cheer Toru and he agrees to the picture. Natsui happily takes it and is happy that at this new beginning, she is the one there. The two then get back on the bike and Toru takes Natsui’s hands to clap around his waist. This shocks the girl at first, but she happily holds on. Kya! And they ride off into the sunset. LOVED the final bike scene with the helmets and all that jazz. It was just so perfect for this couple who can’t ever seem to be 100% up front with their feelings to each other. But they are getting better and hopefully they can finally tell each other how they feel. I can’t wait for Monday! Dear Neenee,Thanks for Ep 8 recap, it was a great ep, wasn’t it? Wish Mon would come sooner. I always enjoyed reading your recaps, so pl continue, (only after you have finished canning and mowing !! You’re welcome, Swee! It was a great episode! I felt so bad for Toru, but it did really help Natsui open up finally on her feelings for him. I, too really want Monday here now. LOL, but wait me must. Don’t worry. I shall continue these until the end, which is supposed to be 3 more episodes as I heard this has 11. Of course, I’ll probably be delayed until Tuesdays or Wednesdays getting the final ones up. Although, tomato season is nearly over. Huzzah! I agree another great recap. Thanks. 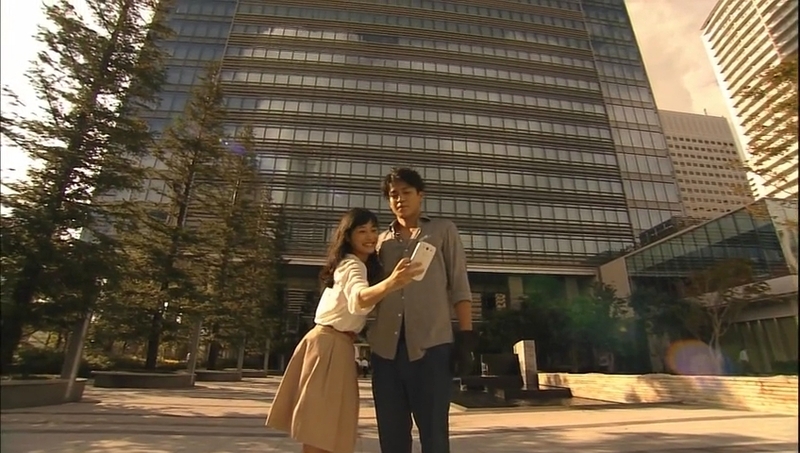 It was a great episode and although Toru went through a lot it did help to get our OTP closer together. I can’t wait for Monday. I’m going to be sad when get to the last episode since I hear this drama. Thank you! I know, I felt sooooo bad for Toru. He broke down and he even cried! But, at least it did bring our OTP closer. Yep, yep, yep. Anxiously awaiting Monday to see if they manage to kiss or not! I, too will be sad when this drama ends. It has a certain spark to it and it’s one of the best Jdramas I’ve watched in awhile. OK. I WILL WATCH THIS EPISODE FOR THE MOTORCYCLE SCENE.